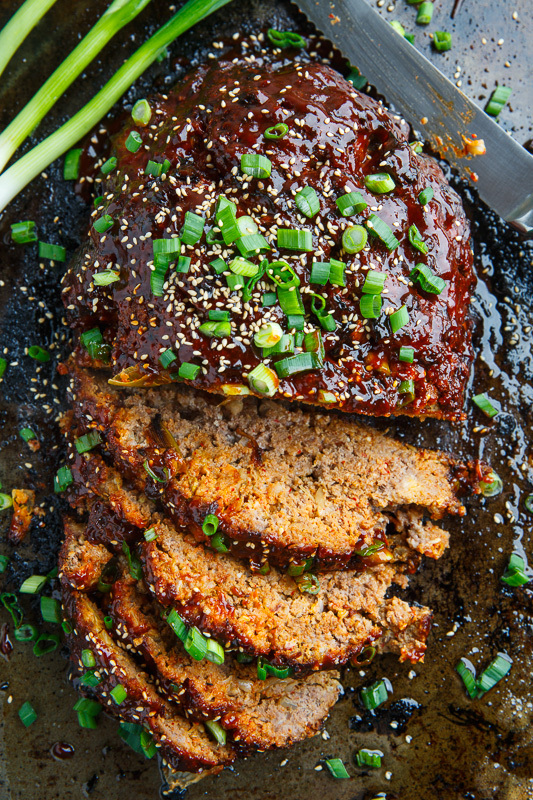 A moist and tasty Korean style meatloaf with kimchi! Meatloaf is a classic home style comfort food dish; not only is it easy to make and pretty cheap but it’s also super tasty! 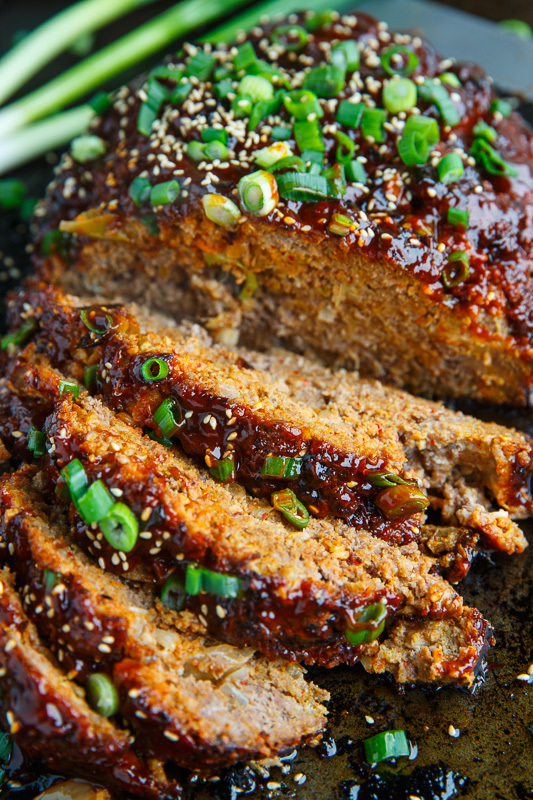 I often like to play with different flavours for my meatloaf and this Korean kimchi meatloaf is one of my favourites. I am a big fan of Korean flavours, especially homemade kimchi, and it makes an amazing addition to meatloaf! This meatloaf starts out with ground beef and kimchi where the kimchi is drained and chopped before it’s added to the meatloaf. The flavour continues to be built up with onions, garlic and ginger before moving on to dried mushroom and fish sauce which add that hit of umami and it’s all finished off with toasted sesame oil which adds an amazing aroma to meatloaf. The eggs and breadcrumbs are in there as binders to hold everything together and once you have it all mixed up you can place it in a pan or just shape it into a loaf by hand and place it on a baking sheet before baking it in the oven. 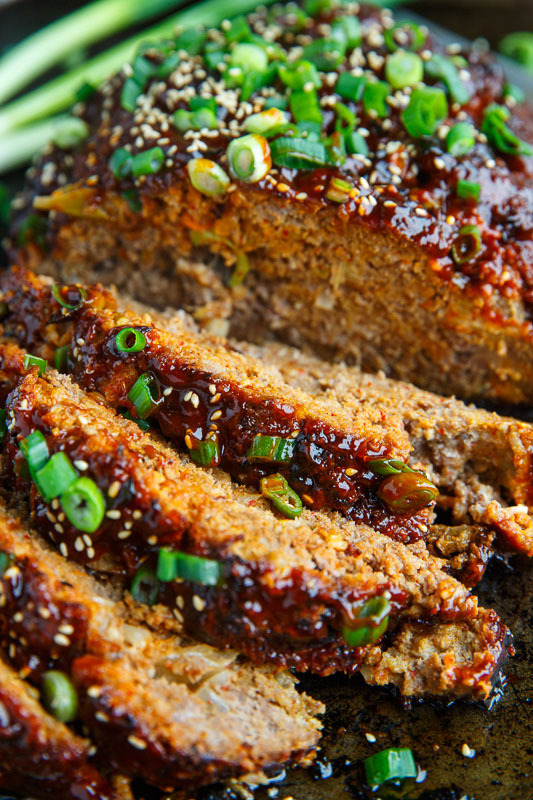 I sometimes like to glaze meatloaf with a sauce and this Korean kimchi meatloaf is great in gochujang sauce mixed with ketchup which you can brush on a few minutes before pulling the loaf out of the oven. Mix everything, form into a loaf, place on a baking sheet or in a loaf pan and bake in a preheated 350F/180C oven until it reaches 160F, about 50-60 minutes. 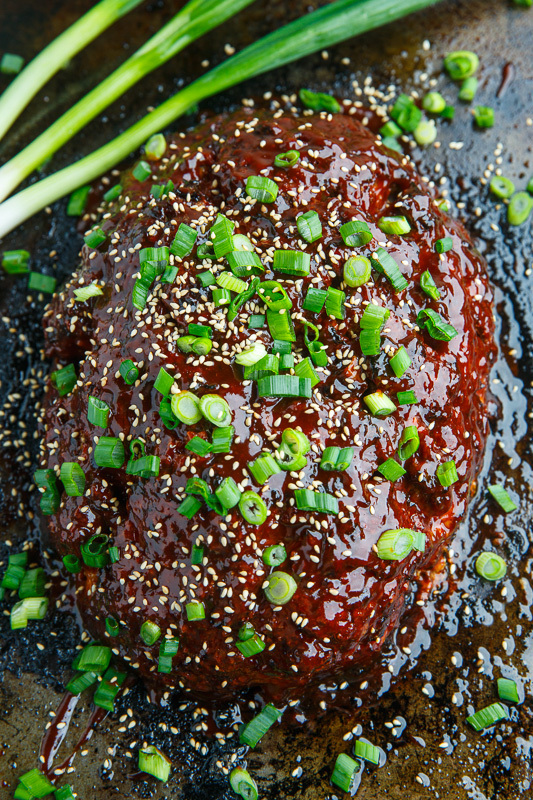 Option: Glaze with 1/4 cup gochujang sauce mixed with 1/4 cup ketchup! Option: Add bacon either by wrapping the loaf in the bacon or by adding ground bacon to the mix! 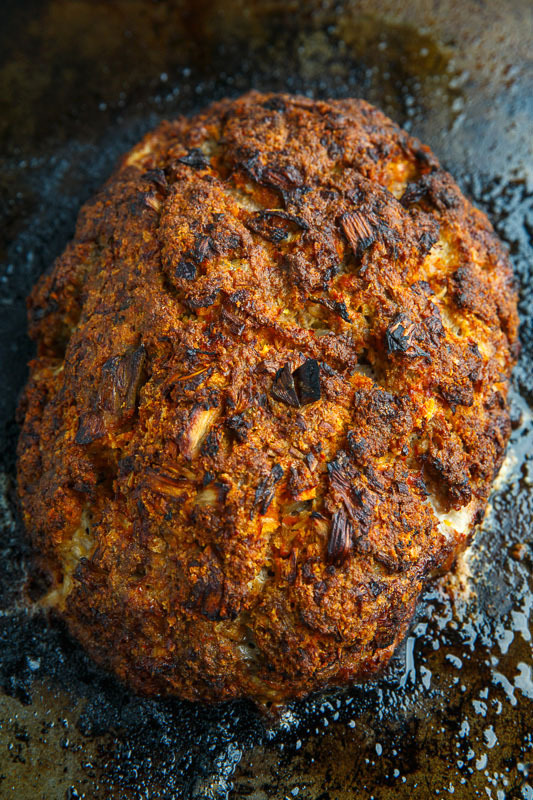 Josh loves kimchi and I bet he'll love it even more in this meatloaf recipe! This recipe seems like it would be VERY spicy; is it? P.S. You take the best photos. I absolutely cannot wait to try this. I've been making my own kimchi at home and have been going nuts with making as many varied recipes as I can with it. Thanks for sharing the recipe with us. I need this for dinner tonight! Yum! Kevin, I was wondering whether your breadcrumbs are fresh or dry? It would make a huge difference in texture and moisture level. Thanks! I use either use old bread that I toast and pulse in a food processor or panko breadcrumbs.